“A world without walls is the only sustainable world. . . . If the world is dominated by people who believe that their races, their religions, their ethnic differences are the most important factors, then a huge number of people will perish in this century.” – Bill Clinton, 42nd President of the United States. Governor Babatunde Fashola of Lagos State. Over the past week the Nigerian media space has been predominantly occupied with debates – healthy and unhealthy – over the “deportation” of Igbos by the government of Lagos State. Some people argued that it was unconstitutional for Lagos State government or any other Nigerian state to forcefully relocate innocent citizens without a court order. Others feel it was an infringement on the rights of the people that were deported. Another group chose to view it as a deliberate act meant to spite Ndigbo. Both Governor Peter Obi of Anambra State where the “deportees” were reportedly “dumped” and Governor Babatunde Fashola of Lagos State have reacted to the matter in different ways. The later believes the former is playing politics on the matter. Political parties have joined the fray, each working hard to gain political capital from the situation. The two main parties involved – Lagos and Anambra States gave different accounts of what happened. Even the number of people affected is being disputed. At this time, I don’t know which of the parties is saying the truth. It is my belief that the Lagos State government may have enacted the “deportation” policy with the best of intentions – to take the destitute off the street, rehabilitate them and reunite them with their families. However, the manner it is being implemented has defeated the lofty objectives. In the past, Lagos also “deported” people to Abeokuta (Ogun State) and Ibadan (Oyo State). The action was also condemned by the administrations of Governor Gbenga Daniels and Governor Alao-Akala respectively. Politicians would always play politics but it is dangerous for an issue like this to be sensationalized and given ethnic colouration. It is not uncommon for Nigerians to lose their sense of objectivity while debating issues that border on ethnicity or religion. Personally, I’m miffed by the way and manner the Lagos State government implements her policy of “rehabilitation and re-unification of the destitute with their families”. I believe it was done in a callous and indecent manner but I don’t see exercise as having any tribal connotation. I believe that it is very unfair for anyone to accuse Governor Fashola or his administration of being anti-Igbo based on this “deportation” saga. It is of common knowledge that he has Igbos in his cabinet, his administration celebrated the late Igbo leader, Dim Chukwuemeka Ojukwu in death and he assisted a popular Igbo actress, Ngozi Nwosu to regain her health. It is unhealthy for our country for people to leave the main issue and engage in tribal war. For the sake of the unity, stability, security and progress of our country, Nigerians particularly young people should learn to focus on issues – commend good acts and condemn bad ones strongly irrespective of who is involved or who it affects. If Nigerians of diverse ethnic backgrounds including Ndigbo had risen to condemn the action of Lagos State when it reportedly dumped “the destitute” in Ogun and Oyo State about a few years ago, perhaps the case of Anambra wouldn’t have occurred. I’m not a lawyer and therefore not in a position to argue the legality of the “deportation”. However, I believe that all humans deserve respect and should be treated with dignity. Dumping “rehabilitated destitute” at Onitsha Head Bridge as widely reported is a despicable act to say the least. More so, media investigations have revealed that Anambra State government also “deported” the destitute to Akwa Ibom and Ebonyi States in the past. This is the more reason why the focus should be solely on the ill-treatment of the destitute and the poor across states. People should stop dancing to the tune of tribal warlords and selfish politicians who cash in on opportunities like this to cause disunity in the country. The depressing comments and unhealthy debates in social media between some myopic Igbos and Yorubas and their sympathizers is assuming a dangerous trend and may cause more problems for the country if not stemmed. All the ethnic groups in Nigeria are unique and complement each other, we should be a model to other multi-ethnic societies on how to co-exist and progress peacefully. Lastly, I observed that the media has not bothered to interview the “deportees” to even present their own side of the story. We shouldn’t treat them as mere numbers (14, 67 or 70? ); they are humans and deserve to be heard. I suggest that the media beam light on the destitute who may have been victims of forceful relocation in different states. Let them share their experience so that the states may learn from it. To my fellow youth, we are the future of the society and the ones to outlive the consequences of the mistakes of today. We should therefore seek to grow above ethnic or religious divides, unite our dear country and grow it to become the pride of the black race. May God continue to bless Nigeria. Good one from Dr Laz. That this topic is an issue under discourse in a society that the law explicitly states that the citizens are free to reside anywhere without molestation is unfortunate. Secondly, if the LASG is sincere with the “rehabilitation” confusion, it wouldn’t have been carried out in that spurious manner. Who would want to do a good deed to another in this political period of chant and jingoism in the dark? I doubt any such rehabilita-anything! If LASG truly rehabilitated any of those victims, they would have been seen over the media houses being handed over to their “invited” families. More worrisome is how and where they were discarded like garbage. It was authoritatively and widely reported in the media that they were poured out in Upper Iweka. Eye witnesses narrated how malnourished and impaired the victims looked. Some of the victims interviewed told the media how they were arrested coming back from work and kept in detention without being charged for many months, without knowledge of their locations before they were offloaded for Anambra Government. So, the whole is calously done. More hole in the process is dt the victims are not Anambra citizens! Terrible! Are their families in Upper Iweka? Why claim you reuinited them with their families after your “rehabilitation”? 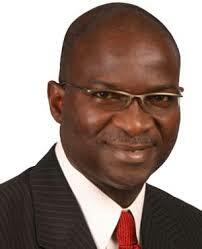 Fashola is a big lier! Why is he not man enough to discuss with his comrade governors before embarking on the cowardly, dastardly act? Another cognate fact: an average Igboman is not among the destitute! We de hussle, anyhow, we de wak! The world can testify to this! I see it as hate and provocation. Sentiments apart, LASG has gone against the law of the land, infringed on people’s rights, provoked a segment of the population, whether or not it had happened before does not give their act credence. Dear Laz, do a lttle more research on this issue and you’d find out it’s absolutely condemnable and even laughable. Get Fashola’s response on Obi’s request that the President look into the fray and you’d be amazed at the SAN’s comment. We should be more careful when we treat others. If yo do more research, a large chunk of those dumped at Ogun are Igbos as well. Nwanne, ebigo m na Lagos. Amam etu ha ji e treati ndi Igbo. Nobe only LASG de appoint non indigine for post ooo. Josiah, thank you for your feedback. Nice write up chief Laz, I’m glad and happy people are still talking about this issue. I wouldn’t agree with you that victims haven’t been interviewed, some have and their narrations is just pittiable. The whole rehab name was given after the saga was exposed, I don’t stay in lag, but I know how swift the LASG rushes to media to showcase eko is working, why did they not showcase such a wonderful programme of “rehab n reuni” to nigerians through the media?, why did they not showcase beneficiaries?, why was the media not present to capture the transport and all what not? Well I would not go as far as saying its anti-igbo, but Chief Laz, as an igbo man living in nigeria sometimes I’m tempted to ask is their igbophobia in this country? The late prof Achebe said and I quote” if there is anything the rest of nigeria will agree on its their hatred of the igbos” I @times am inclined to agree. LASG did something they should have apologised for but they chose to start giving explanations that is laughable to say the least! Keep writing sir! Thank you Emeka for your feedback.